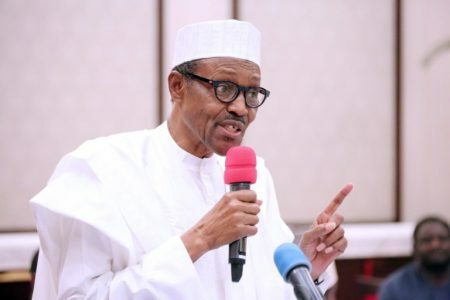 President Muhammadu Buhari says the Nigerian government has employed over 8.75 million Nigerians under various empowerment schemes. Giving a breakdown of the figure, he said seven million Nigerians were engaged under the N- Power scheme, which represented 70 per cent of the targeted beneficiaries, while 1.75 million others were recruited under the National Safety Net Programme for the poor and the vulnerable. According to ThisDay newspaper, this was contained in the President’s remarks at the 28th convocation and 36th Founders Day ceremony of the Federal University of Technology Minna, Niger State, on Friday. Buhari was represented by Professor Abubakar Adamu Rashers, the Executive Secretary of the National Universities Commission (NUC). 259,451 Nigerians were also said to have been engaged under government enterprise programmes, while the Bank of Industry (BOI) had also provided “soft loans” to more than 300,000 Nigerians, with others given necessary support and start-up packs. The President also restated his commitment to “to improving security, providing jobs and eliminating corruption in the country”. “We have downgraded Boko Haram and we are routing out the remnants of Boko Haram in the North-east and anywhere they are hiding in Nigeria,” he added. “We are prosecuting high profile Nigerians; we will continue to wage war against corruption. In his remarks, Professor Abdullahi Bala called for more efforts to improve learning in tertiary institutions. At the event, Olarenwaju Ayobami. Esther of the Department of Computer Engineering, won four awards.